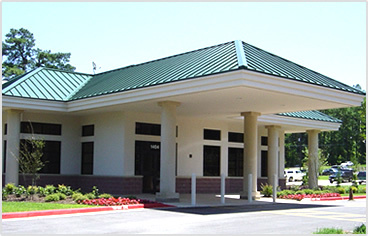 Physicians' Surgery Center of Longview is freestanding, multispecialty ambulatory surgery center. The Center will include two (2) operating rooms, three (3) endoscopy rooms, and fourteen (14) Pre-op and PACU beds. Open Monday through Friday from 6AM to 5 PM. The center is designed to support procedures in ENT, general surgery. gastroenterology, gynecology, ophthalmology, oral/maxillofacial surgery, orthopedic surgery, pain management, peripheral vascular surgery, Plastic/Reconstructive, Podiatry, Urology and other specialties. Anesthesia services are available at the center. Patients with ASA class I, II and III will be eligible to undergo procedures or surgeries at the center. The Physicians' Surgery Center of Longview is applying for Medicare Certification.